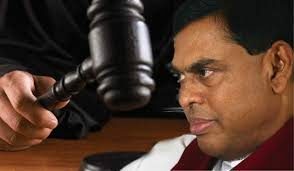 The stay order requested by former Minister of Mahinda Rajapaksa regime Basil Rajapaksa, through several Samurthi/ field officers, to get the forthcoming Local government Election was rejected by the Supreme Court today (13th). The petitioners had requested that the holding of the Local Government Election should be postponed until field officers could contest (until one year after the bill is passed). However, the request was rejected and the Supreme Court decided to hear the petition tomorrow (14th). The petitioner s had filed the case under CA(Writ)02/2017, CA(Writ)04, SC/FR/419/2017. The petitions stating field officers are denied the opportunity to contest the election while they are in service is a ploy to get the local government election postponed sway election monitors. One of the petitioners that had stated he is unable to contest the election as he is a field officer has already retired. Another has already resigned from service. Several petitioners who had asked for a writ to postpone the election have either retired or resigned from service. 1. Priyantha Waduge (Galle) has left the service. Filing these petitions show that Mahinda faction, just like the Maithri faction fears to face the local government election say, political analysts. With the announcement of the election, several political conflicts surfaced within the Mahinda faction. There are disputes regarding nomination lists while Members of the Mahinda faction are leaving Mr. Mahinda Rajapaksa. As a result, Mahinda faction, like the Maithri faction, fears to face the election. It is to avoid the embarrassment of defeat that Mahinda factions, just like the Maithri faction, want to get the election postponed.